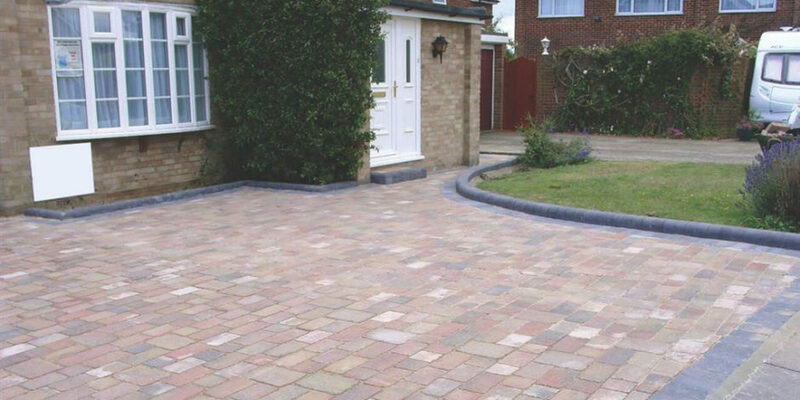 A tumbled brick block paving driveway with contrasting edging in charcoal drivesett (raised) and charcoal soldier to the entrance. If you’re having problems with your Driveway or just want a new patio simply call us For a FREE No obligation quote contact us at Banbury Roofing and Paving. A piece of mind service, we only fix problems not create them.